We wanted to let you in on the fun - a little fortune telling into the future products that we'll be bringing you in the coming months. We've been hard at work at Make it Mid-Century Labs, doing research and development on all sorts of interesting projects for your mid-century renovation. The first new product we'll be offering are shutters. Our Shutters are made from an environmentally friendly, exterior grade material. 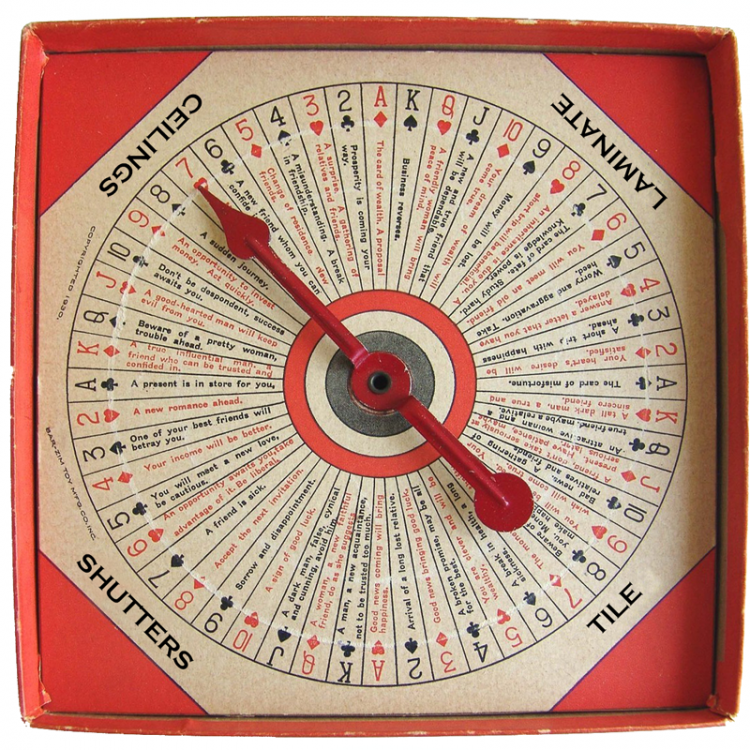 Created from a solid piece of material, the shutter requires less painting (and maintenance!) for the life of the product. We currently have one plain shutter and nine other panel cutout shape variations to support your mid-century aesthetic. The shutters will come pre-primed - all you need to do is add the color you desire and hang! Don't think shutters are right for mid-century? We had qualms, too, until we did our homework and checked out pattern books from the period. Read more about it here. 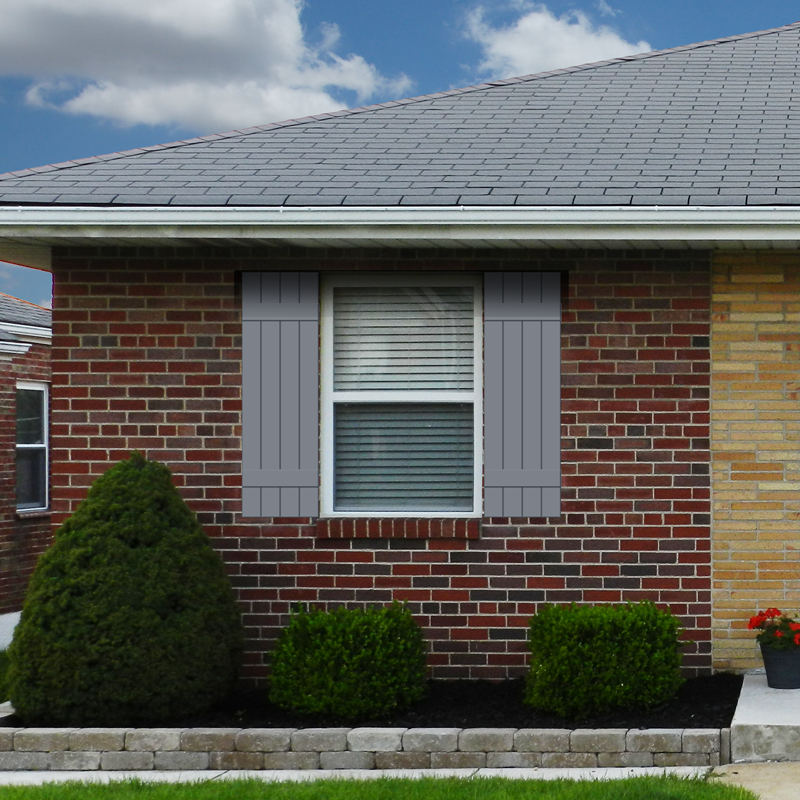 In the future we plan to add more shutters to our collection - this time with appliques similar to our exterior door and garage product line so that you'll be able to mix and match products to upgrade your whole exterior. In the meantime, it's a waiting game, but we hope to have them available for purchase on our website by the end of the year. 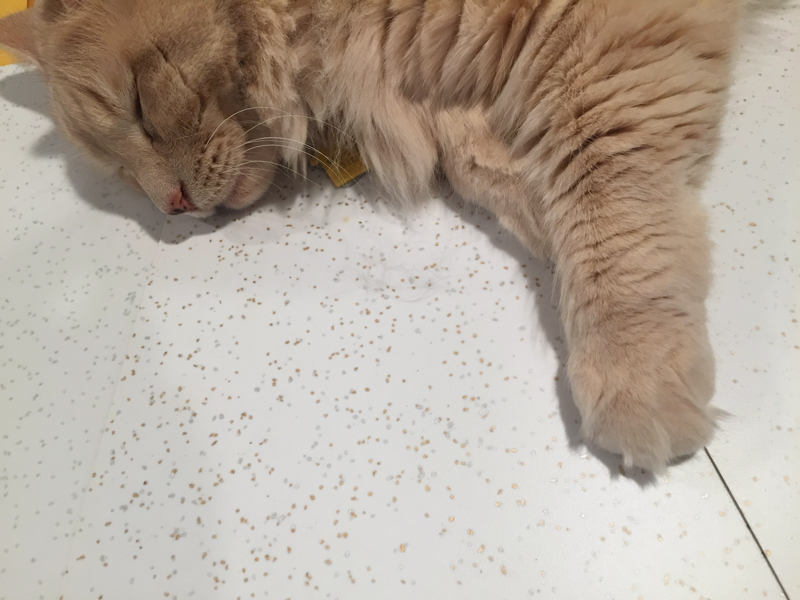 Don't be distracted by the gorgeous cat asleep on the samples, but we've been successful at recreating glitter laminate from the 1950's! From left to right we have samples of silver glitter laminate, silver and gold glitter mix, and gold glitter laminate. We're still nailing down the manufacturing process, but in our research and development phase, we've proven that it can be done, and we're excited about that. We want to know how excited you are for this possibility. Can you please help us out by completing this short questionnaire about glitter laminate? 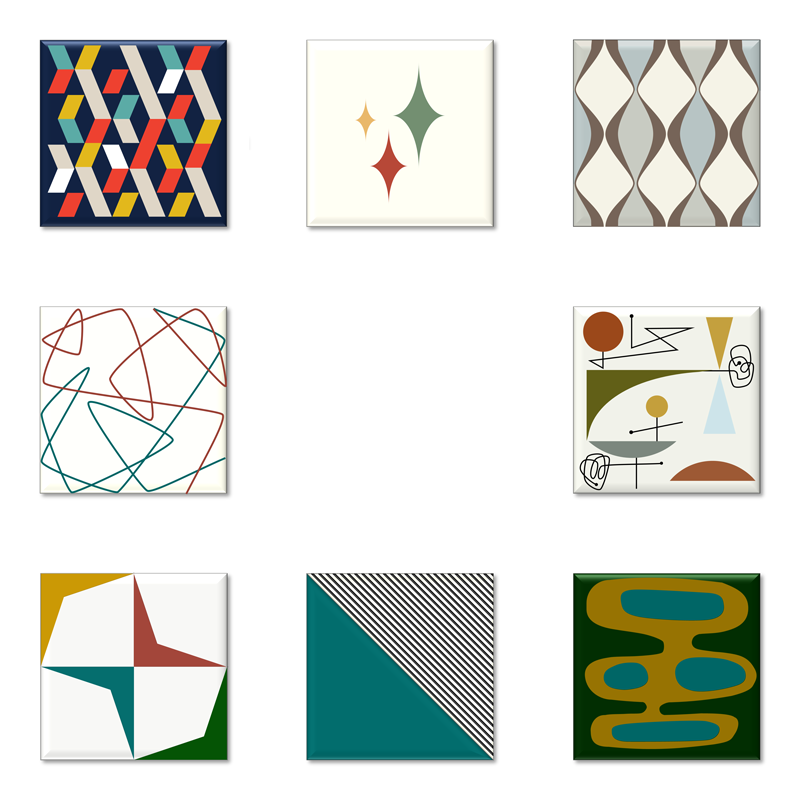 We're looking at introducing some mid-century patterned tiles in the future. Right now we're still in research and development phase, coming up with concepts and designs and future shapes that we'd like to offer. We're hoping to coordinate with a preexisting line of solids so that our tiles can work either alone or as accents in tandem with a traditional field tile. Do you have any really cool tiles in your house that you'd like to show us? We really want to hear from you. 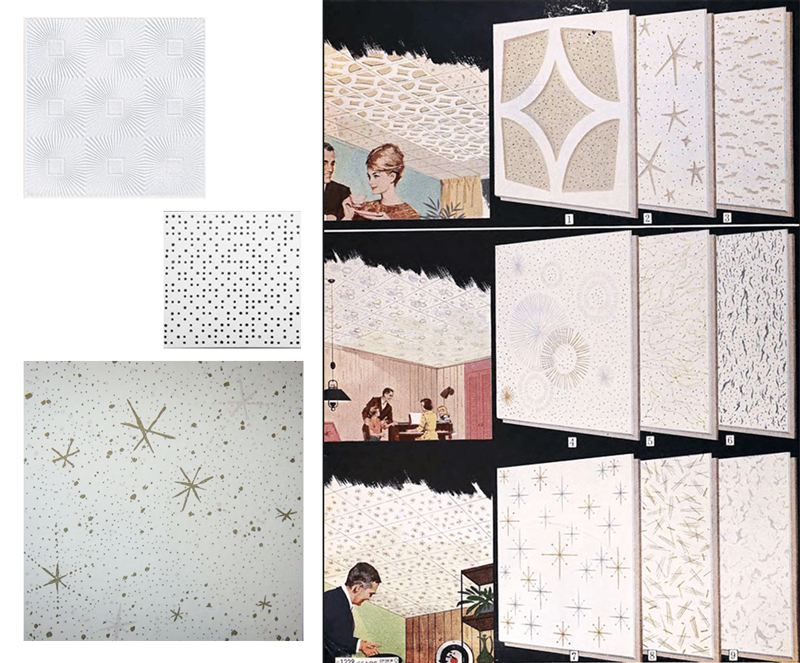 Another item in the very early research and development phase is a line of ceiling tiles in the traditional 12 x 12 size of the time period, perfect for your mid-century rec-room! To the left are a few of the designs that have piqued our interest, but we're working on additional concepts. We'd like to hear from you for your thumbs up / thumbs down vote - is this a product you would like to see? Drop us a line here and tell us why or why not.